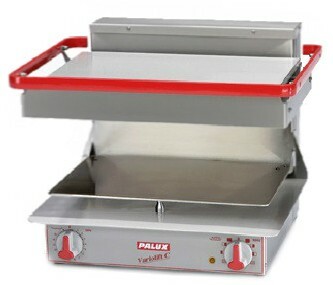 PALUX ProfiLine, the new heavy-duty line of equipment designed for all catering operations and institutions who require high volume production. Powerful performance guaranteed – either gas or electric operated. Assembly as line or block installation for modular systems. Connection with u-shaped profiles for 50, 100 and 150 mm length. Diversity of powerful thermal components, electrical or gas heated. 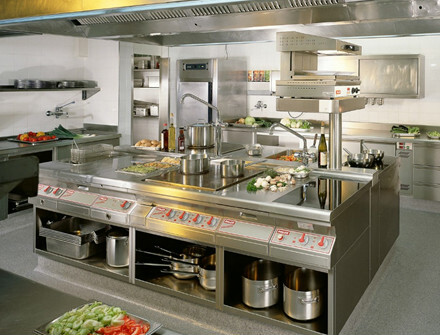 Easy and self-explaining handling via keypads or rotary switches. 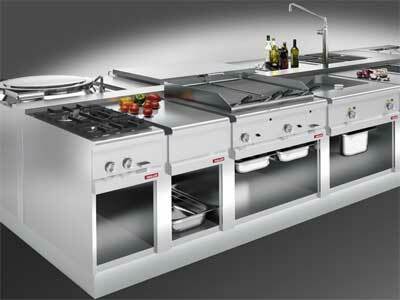 Temperature, running-start time and programs separately adjustable via integrated keypad. Open base cabinets in hygiene execution. 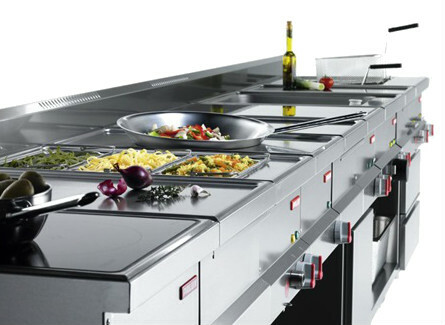 Surfaces of Bratt Pans made of special steel-sandwich construction for even distribution of heat. Double-jacket Kettles: electric or gas operated, precise temperature control and energy-saving cooking. 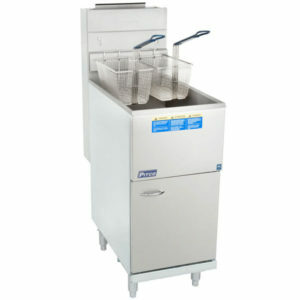 Automatic Tilting Bratt Pans and Kettles. 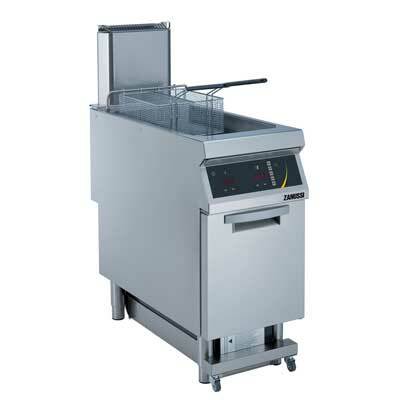 Deep Fat Fryers with integrated keypad, digital displays, individual setting of time and temperature. 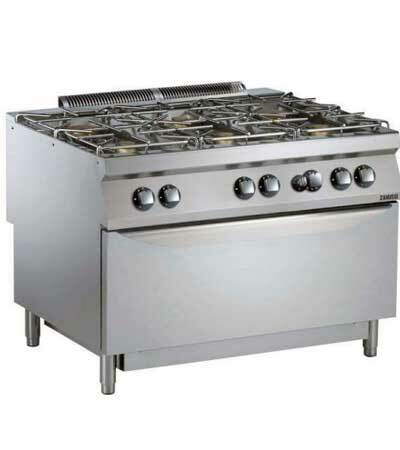 Diversity of thermal components in electric or gas heated: Ranges – Solid top or Ceramic surfaces, Gas Ranges with open burners or solid tops, Ovens with size GN 2/1, Kettles, Tilting Pans, Vario Pans, Griddle Plates, Char Grill, Bain Maries, Vario Cookers, Pasta Cookers, Fryers, Infill tables and base cabinets.